During the course of the past few weeks, we have heard much about the inverted yield curve in three-month and ten-year Treasuries as a harbinger of recessions. Missed in the press reports is the fact that it has also been a harbinger of higher gold prices. In the chart above, please note the upward surges in the price of gold in the five-year periods following the two most recent yield inversions in 2000 and 2006. The first occurred with gold trading in the $300 range. It subsequently rose to the $600-650 level in 2006. 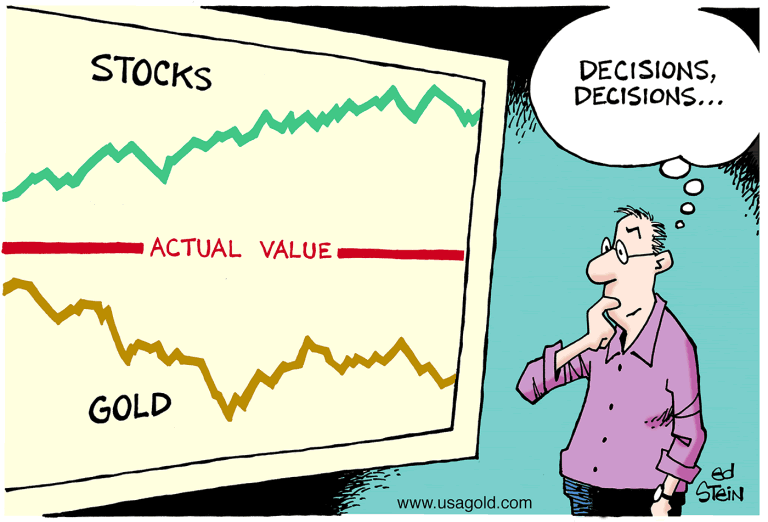 The second occurred with gold priced in the $600-650 range. It subsequently rose to over $1900 per ounce in 2011 – its all-time high. Peter Fisher, formerly head of fixed income at BlackRock and currently a professor at Tuck School of Business at Dartmouth, puts it succinctly in that same Financial Times editorial. “The mistake,” he says, “is to think it [an inverted yield curve] is a predictor of recessions. I think it causes recessions.” The rise in the price of gold following the two prior instances of yield inversion, it is now well understood, came in response to aggressive central bank monetary easing and the sudden emergence of credit-related systemic risks. Such a statement by itself would be enough under ordinary circumstances to motivate some judicious position adjustments on Wall Street’s trading desks. Mr. Trump, though, has upped the ante by offering up two Federal Reserve Board nominees – Stephen Moore and Herman Cain – known more for their hardened political sympathies than economic policy objectivity. That shift could send Wall Street speculators into overdrive as we enter the election season and simultaneously heighten gold’s safe-haven appeal. 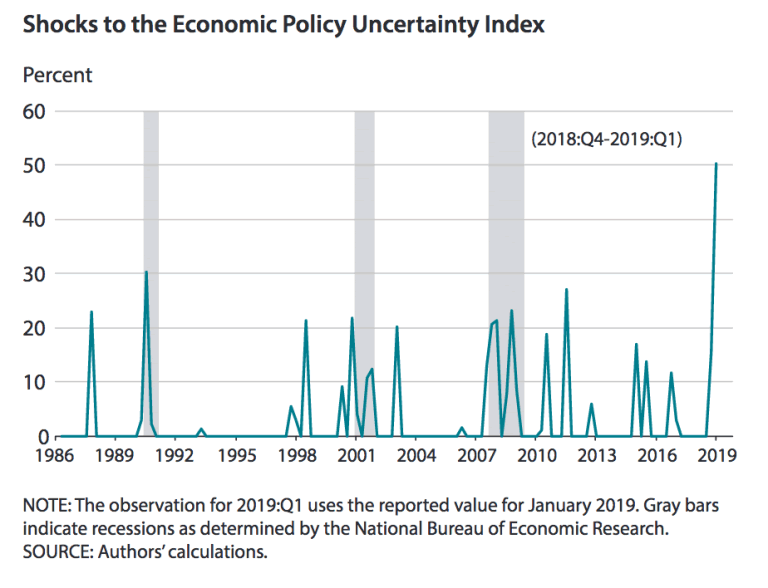 The Federal Reserve Board of Governors looks to be on a path to becoming not just more politically inclined as the presidential election cycle draws near but highly politicized. The Fed’s reaction to the market retreat of last December has made it look indecisive and confused. The White House, for its part, seems all too eager to shift the blame for any imminent slowdown to the Fed. The nation, as a result, finds itself in the unprecedented situation of witnessing the executive branch of government in outright conflict with its central bank. Keep in mind that China, the world’s leading mine producer, keeps most its domestic gold production (roughly 450 tonnes per year) within its borders. Though China does not officially claim that production as part of its national reserves, many gold market experts believe it ends up in the coffers of either the national government or the central bank – acknowledged or not. Last year central banks purchased a record 650 tonnes of gold in the aggregate according to the World Gold Council. Add China’s production and official sector offtake vaults to 1100 tonnes – 70% higher than the WGC’s widely-touted number and a little over one-third of global mine supply. Those percentage valuations, we believe, are worth noting. . . . . So where do we stand in 2019 with respect to the Quality Man’s Attire-Gold Ratio? At Brooks Brothers, a top quality, off-the-rack suit ranges between $2625 and $3122 without a vest. Brooks Brothers carries a less expensive suit at about $1250, but the ratio requires a top (not lower or middle) quality man’s suit. On London’s Saville Row – the standard for quality men’s attire – a hand-tailored men’s suit ranges in price from £3500 ($4620) at Huntsman to £4950 ($6534) at Kilgour (as published in Gentleman’s Quarterly). By any of those measures, gold at $1300 per ounce is suitably undervalued. Some compare today’s stock market psychology to the period just before 2008. Others compare it to the 1920s when everything was hunky-dory until suddenly it wasn’t – perhaps a more apt comparison. Too many are “all-in” with respect to stocks in their Individual Retirement Accounts hoping to accumulate as much capital as possible without regard to the potential downside. 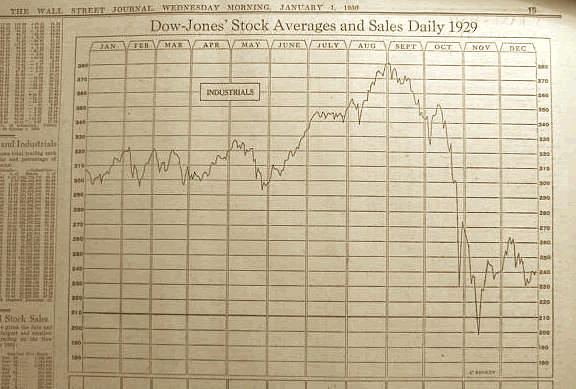 The stock market did not recover from the losses accumulated between 1929 and 1933 until the mid-1950s, almost 25-years later – a fragment of stock market history lost to time. Some will rely on the fact that stocks recovered nicely once the Fed launched the 2009 bailout. We should keep in mind though that many prominent Wall Street analysts have warned that the Fed no longer has the firepower now it did then. The financial markets and economy are much more vulnerable as a result – all of which brings us back to the notions of self-reliance and taking personal responsibility for our retirement plans. If you find yourself among the group that thinks hedging a stock market downturn to be in your best interest, we can help you easily and effectively structure a gold and silver diversification as part of your retirement plan to hedge that possibility. The U.S. Mint reports sales of American Eagle gold and silver bullion coins running well ahead of last year’s pace at the end of March. Gold Eagle sales were up 33.3% over last year’s first quarter performance while Silver Eagle sales were up 37.9% over the same period. Month over month, Gold Eagle sales were more than three times higher than sales from March of last year. Silver Eagle sales were down 7% when compared to March of last year. The strong uptick indicates increased activity among American investors interested in including gold and silver in their holdings as safe-haven hedges and as an underpriced asset class. A number of technical analysts have reverted to a more bearish forecast over the past few weeks with the $1250 area once again being touted as the downside support area. Many of those same technical analysts, though, have a significantly more positive outlook for the longer term. At USAGOLD, it bears repeating, we have always advocated the ownership of both gold and silver coins and bullion for long-term asset preservation purposes rather than short-term speculative gain. Though we report on the short-term, we do so with the caveat that anything can happen. The analyst who forecasts a short-term downside today can quickly change his or her outlook to the upside tomorrow – or vice versa. 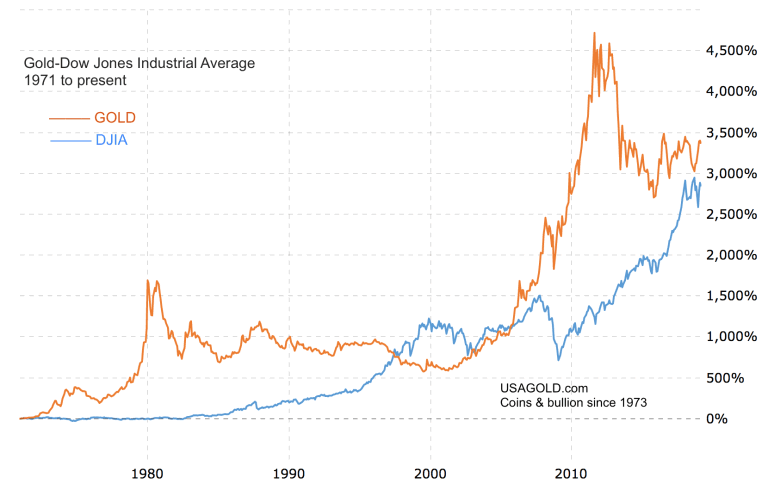 The long term charts for gold and silver, though, reveal a consistent upward trend that has served investors well in the period since 1971 when the global monetary system departed the gold standard and entered the fiat money era. Is Warren Buffett wrong about gold? The article goes on from there to debunk Buffett’s latest attack on gold – one of many he has conducted over the years – while drawing on cyclical analysis to lay out a solid longer-term future for the metal. It concludes with the opinion that Buffett’s stance on gold is “part of a deal with the establishment of the United States.” That could be true, but it could also be little more than an old professional bias going back decades. We counter with a single chart that refutes Buffett’s argument at a glance. It tells the story of gold and stocks in the time in which we live – the historically distinct fiat money era that began in 1971 – not some other timeline that carries little relationship to the present. To make a very long story short, gold has appreciated 3,399% since January 1971. Stocks have appreciated 2,884%. “I cannot stress enough how important it is for everybody to really take it upon themselves to read as much as they can and try and understand what’s going on,” says Real Vision-TV’s Grant Williams in an interview at GoldPrices.biz. “Don’t rely on the mainstream media, don’t rely on short soundbite information, really dig into this and seek out the people who can help you understand it because it’s incredibly important right now.” We couldn’t agree more. At USAGOLD, we have always geared our content to what we believe our clientele would like to know or learn. The centerpiece to that endeavor is our popular Live Daily Newsletter which offers a variety up-to-the-minute gold market news, opinion and analysis posted as it happens. Editor’s note: It is hard to imagine how the principles of the Mad Hatter Modern Monetary Theory can gain credence in the public debate without encouraging a large, consequent flight out of the dollar and into gold and silver. Editor’s note: At the risk of sounding cynical, it would not be difficult to imagine the Federal Reserve – make that the world central banks – proceeding with some version of MMT even while railing against it and saying they would never engage in such a thing. How far from MMT was quantitative easing? Not far, we would venture. Michael J. Kosares is the founder of USAGOLD and the author of "The ABCs of Gold Investing - How To Protect and Build Your Wealth With Gold." He has over forty years experience in the physical gold business. He is also the editor of Review & Outlook, the firm's newsletter which is offered free of charge and specializes in issues and opinion of importance to owners of gold coins and bullion. If you would like to register for an e-mail alert when the next issue is published, please visit this link. Disclaimer: Opinions expressed in commentary e do not constitute an offer to buy or sell, or the solicitation of an offer to buy or sell any precious metals product, nor should they be viewed in any way as investment advice or advice to buy, sell or hold. Centennial Precious Metals, Inc. recommends the purchase of physical precious metals for asset preservation purposes, not speculation. Utilization of these opinions for speculative purposes is neither suggested nor advised. Commentary is strictly for educational purposes, and as such USAGOLD - Centennial Precious Metals does not warrant or guarantee the accuracy, timeliness or completeness of the information found here.